Key findings of Arthur D. Little’s new worldwide automotive market report are that desire for car ownership remains strong, especially amongst the young, and that drivers are considering a dramatic switch to electric and hybrid vehicles (EVs). This will impact manufacturer and supplier engine strategies and push for faster development of EV ecosystems, such as charging solutions. Drivers are now much more willing to embrace alternative drivetrains. 58% would accept paying more for hybrids, and 50% for EVs. While the majority have petrol or diesel-engined vehicles, this could change rapidly. 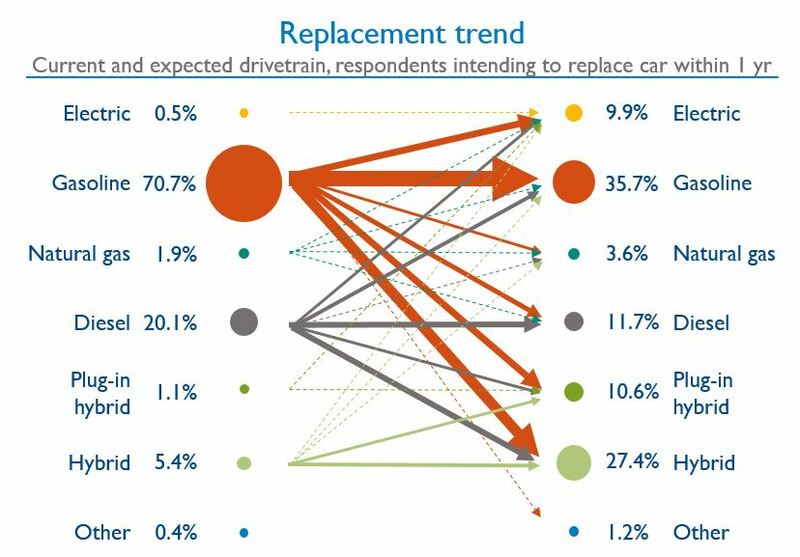 Of those planning to replace their car, 48% said they’d consider an EV (BEV, hybrid or plugin hybrid), 36% a petrol-engined vehicle and 12% diesel.